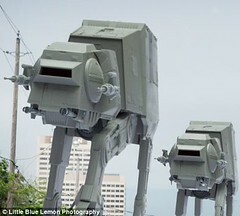 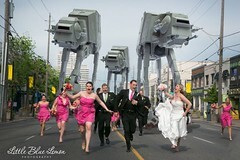 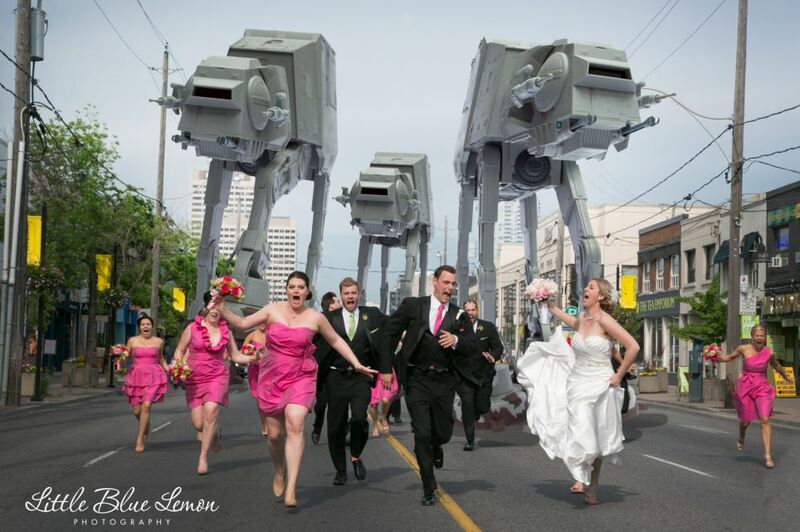 The intrepid couple pictured here commissioned Toronto-based Little Blue Lemon to create a very special wedding photo – being chased down the street by a terrifying squadron of Star Wars Imperial AT-AT Walkers. 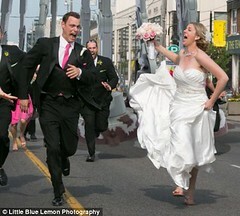 As can be seen from the pics that follow they really threw themselves into the role with enthusiasm. 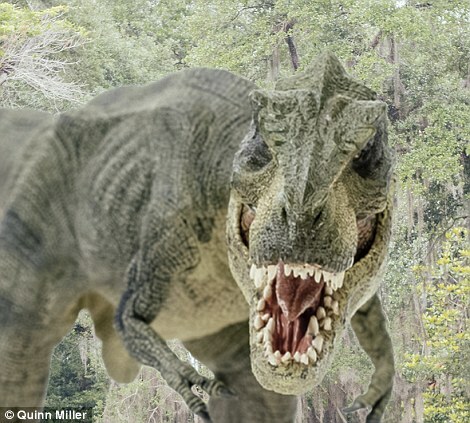 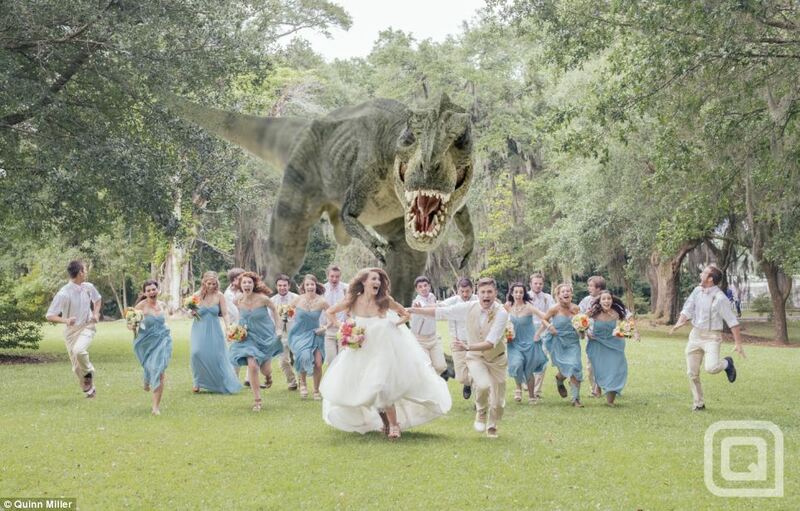 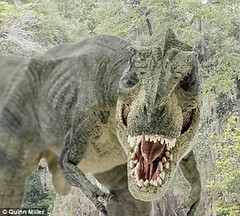 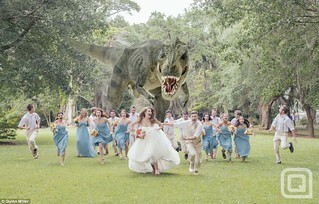 Apparently, the meme was started by one Quinn Miller, 22, who produced a digitally put together image of a wedding party in Louisiana being chased by a huge T-Rex. 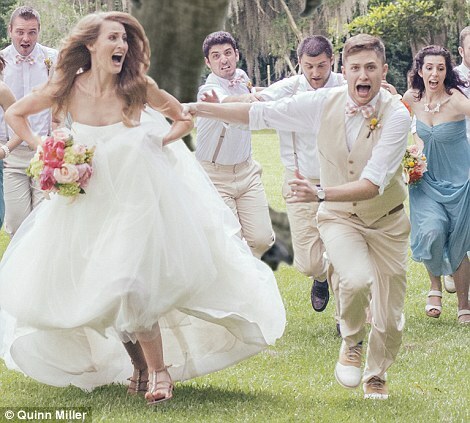 Incredibly, the shot was taken in just one shoot lasting 2 minutes. 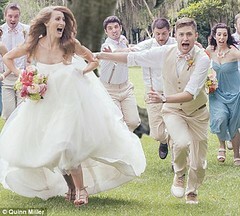 After Quinn shared the photo on Facebook, things went viral and the pic has now spread across the internet (6 images).